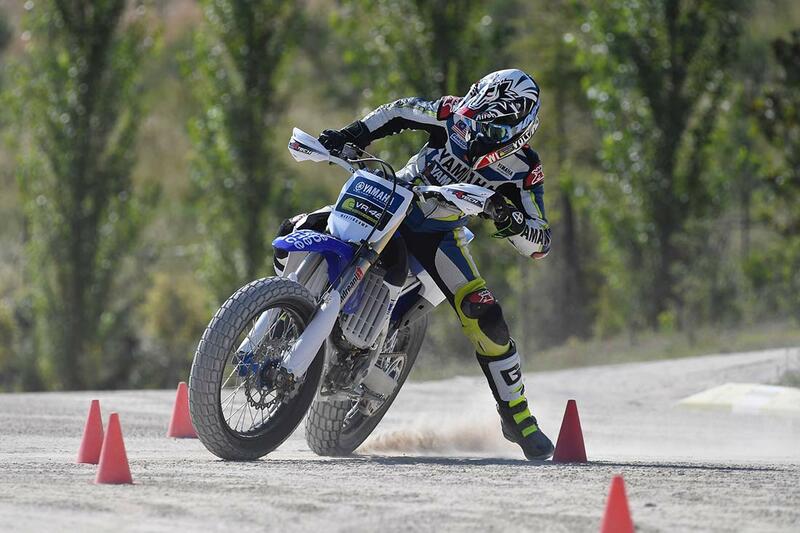 Master Camp Riders Get Started | YAMAHA|VR46 Riders Academy | YAMAHA MOTOR CO., LTD. 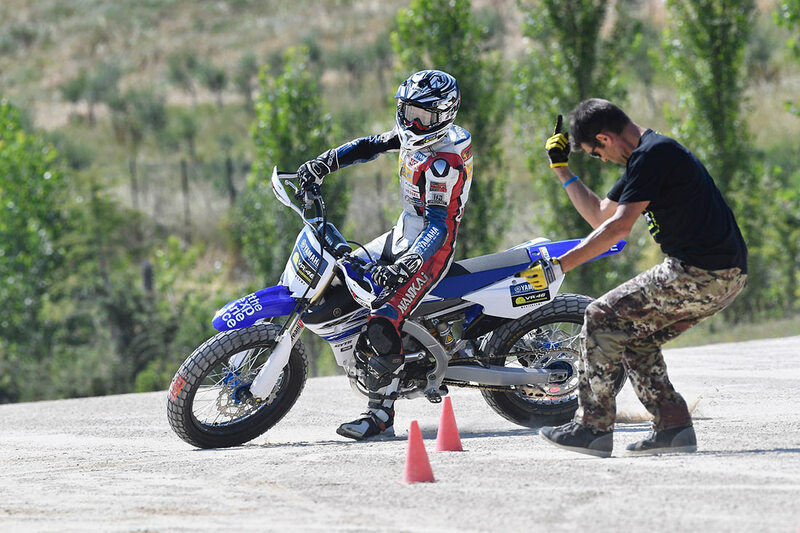 The YAMAHA|VR46 Master Camp kicked off today with a full program that saw the five talented young riders further enhance their fitness level and bike control. Peerapong Loiboonpeng (Thailand), Galang Hendra Pratama (Indonesia), Soichiro Minamimoto (Japan), Kasma Daniel Bin Kasmayudin (Malaysia) and Imanuel Putra Pratna (Indonesia) started their five-day training program with full enthusiasm. The first activity of the day was an intense workout session, during which VR46 Riders Academy’s Franco Morbidelli shared useful tips on how to get your body into competitive shape on a World Championship level. 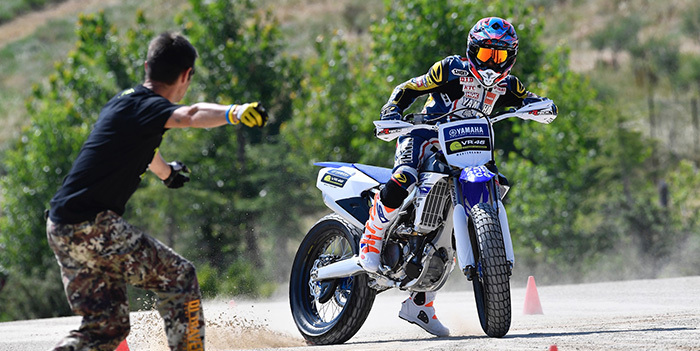 Having regained their strength after a beautiful lunch in Tavullia—where they met Valentino Rossi’s father, Graziano Rossi—and a quick stop at the VR46 Store, the riders couldn’t wait to start the riding session at the Motor Ranch in the afternoon. Their trainer for the day was none other than four-time Italian Flat Track Champion, three-time English Flat Track Champion and two-time American and European Flat Track Champion, Marco Belli. Under his watchful eye the five young talents perfected the art of sliding on their special #theExperience YZ250Fs, whilst maintaining perfect bike control. First of all I want to thank Yamaha. Today was very tough but I was also very happy because I’m sure that the techniques I learned today are unique and I wouldn’t have the opportunity to learn them in my home country. What we have done today will be beneficial to my future career. I’m feeling very happy and I feel it’s an honor to be here and learn from a teacher like Marco Belli, who taught us things that we couldn’t have learned at any other place. I’m sure that what we learned today will be useful for my future. The same can be said about this morning's fitness session; the benefits of this will show in the long run. I sincerely thank Yamaha for this opportunity. I am very happy to be trained by Marco Belli, or “the King of the Sand,” as we now call him. What we learned here is not something I can learn in Malaysia and I will bring it home with me. I feel tired after such a full-on day, but I’m very happy and looking forward to tomorrow. From when we started the day up until now, I noticed the difference between Italian and Thai racing culture. The Italians start with a warm up and go to the gym before exercising on the Ranch; this is not something we do in Thailand. I discovered new importance for exercising such as pilates and muscle-relaxing stretching that I never knew before, so that is very good. On the Motor Ranch it was the first time riding on the flat track with the latest YZ250F so it was difficult to control the throttle and stay on the motorcycle when going into the corner. After that we studied a technique and practiced a theory from Mr. Marco Belli that helped me a lot to race better than I did when I started. All that he taught me will help me in the future when I take this with me to Thailand. I learned the basic techniques today and at the end of the session I was able to run through the corner and control the tire slide, which I really enjoyed. It was the first time that I rode a YZ250F, but it was very good. I wanted to go fast at the beginning, because it’s easy to jump to a conclusion, but Mr. Marco Belli said to us that it’s important to think ahead and I understood what he said very much.